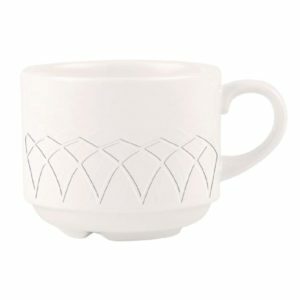 This fine china espresso coffee cup from the Jardin collection by Churchill embodies a timeless appeal enhanced by classic design. 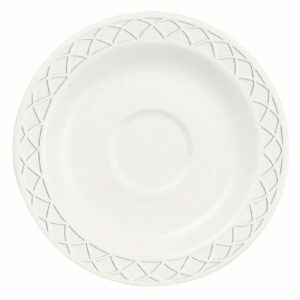 The delicate embossed border reflects the elegant arches of windows and brings a sophisticated ambience to the dining experience. 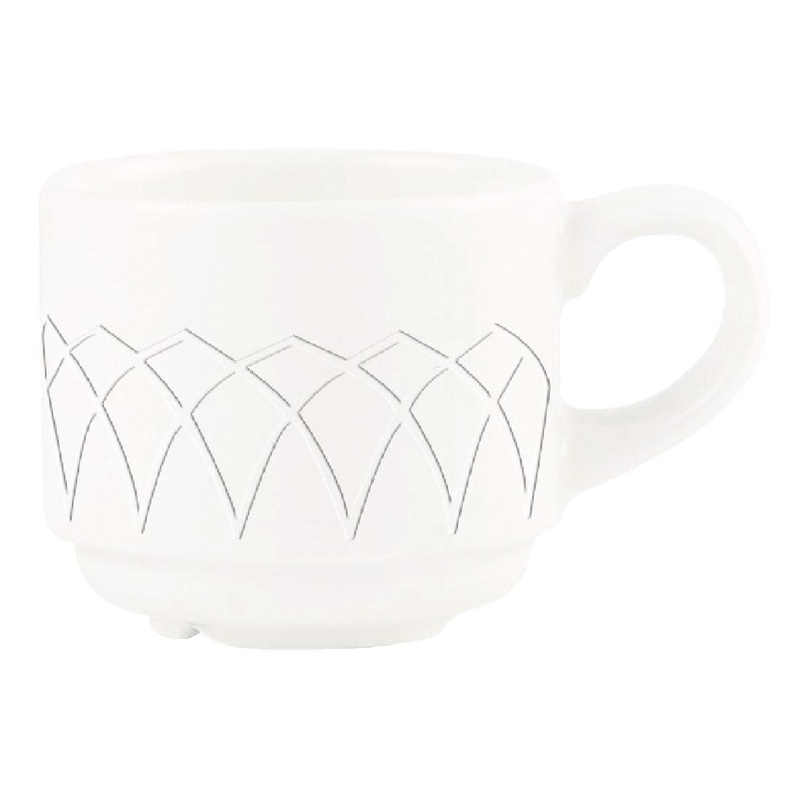 The cup is ideal for all types of professional catering environments from fine dining restaurants to hotel banqueting, as the high alumina content of the china gives it maximum strength. 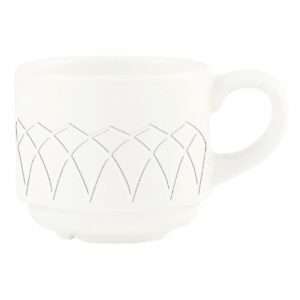 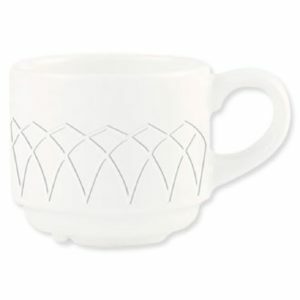 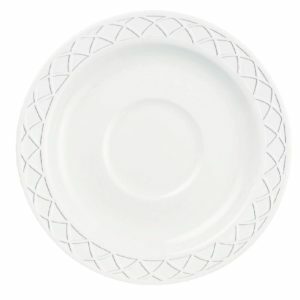 Coupled with a superior glaze which is resistant to the erosion caused by dishwashing and damage caused by cutlery, a chip resistant rolled edge and glazed foot, Jardin crockery can withstand the rigours of daily use and will stand the test of time.,Colour: White,High thermal shock resistance,Fully glazed foot,Superior glaze finish,.,.,.